I have spent the last 5 days and 4 nights on the island of Koh phi phi, Thailand. It is an island that is between Phuket and Krabi on the mainland. The island is known for great nightlife, beautiful beaches, and is a travel Mecca for people from all over the world! 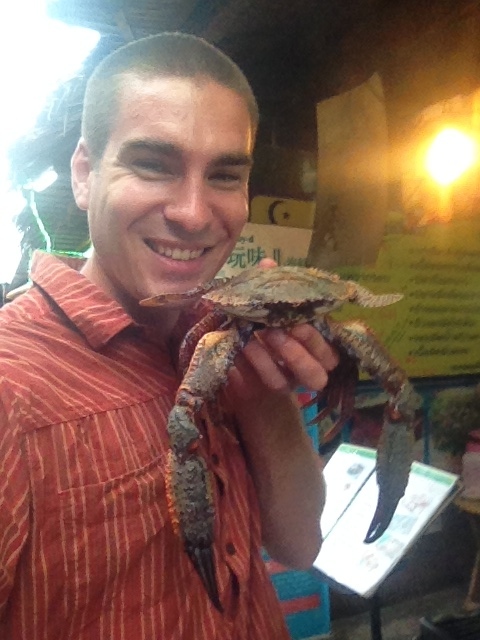 Before traveling to the island, I was a little apprehensive about going to Ko phi Phi. I was envisioning a lot of people and a very touristy atmosphere. Although, this is what you will find when you come here, it is well worth it. I have had an absolute blast meeting new people from all over the world, kayaking, snorkeling, and enjoying the night life. Ko phi phi is an amazing place to stay for 2-5 days depending on what you want to do. There are also many scuba diving opportunities if that is what you fancy. I currently do not hold a diving certification and do not want to obtain mine on Ko phi phi so no diving for me. Initially, I thought that I would stay for 2-3 nights but ended up staying longer because there were more things to do. 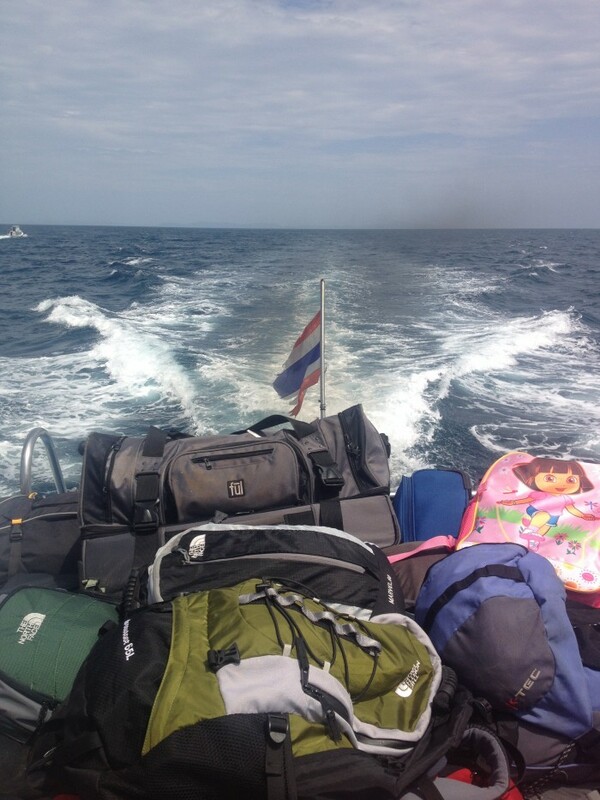 The only way to get to Ko Phi Phi is via ferry boat. 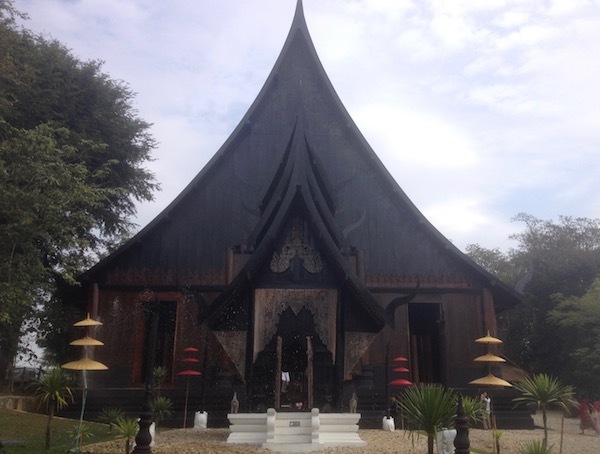 I arrived via the island of Ko Lanta but there are many towns in which you can depart from. 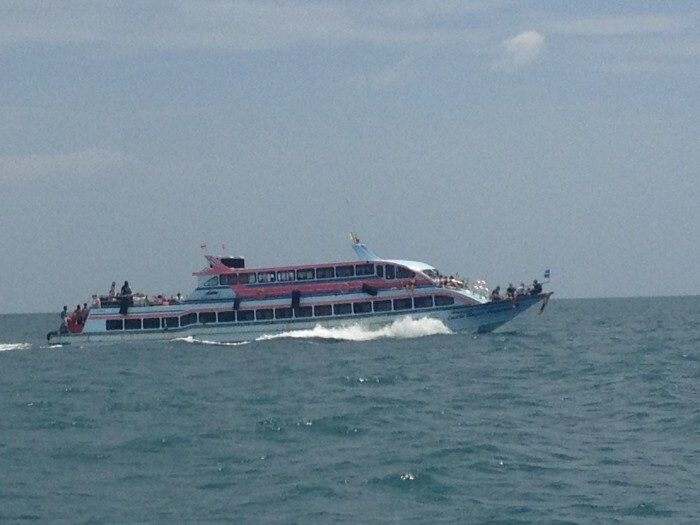 The ferry costs $12US dollars one-way or $350 BHT. 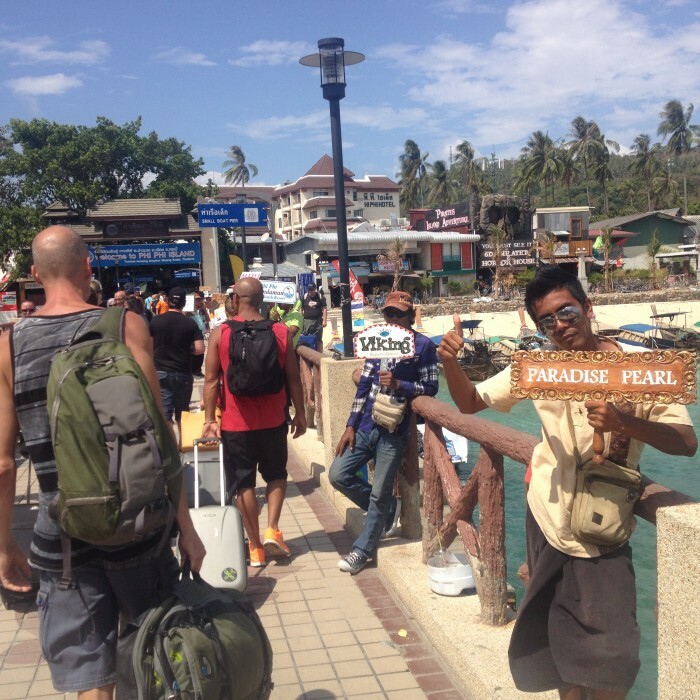 Once you arrive to Ko Phi Phi and depart the ferry, you are bombarded by locals soliciting their services and hotels. I would recommend ignoring them and walking around to get familiar with the island. There are no cars and you can only get around on foot. Many locals have bicycles that they use to weave in and out of walking tourists. Additionally, all food and goods are mostly transported via large metal crates with two wheels. 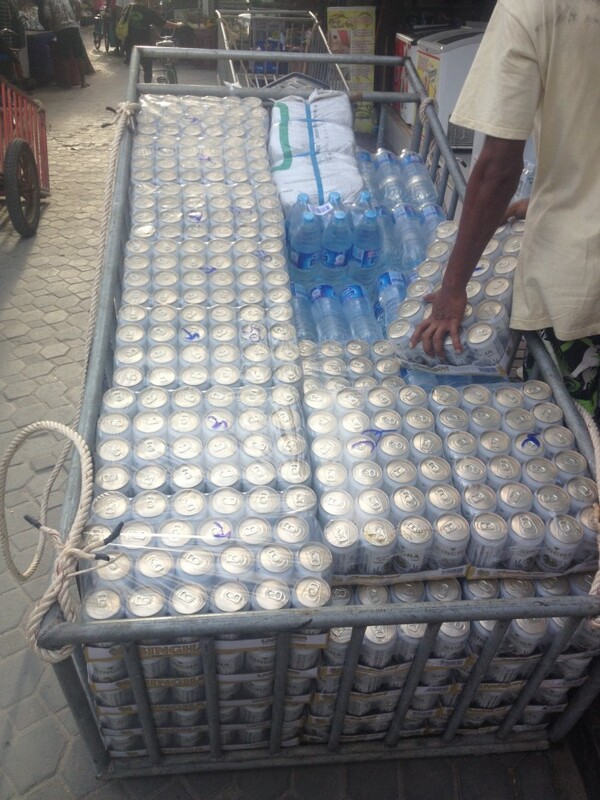 It is hard work transporting cases of water and other goods when you do not have a motored vehicle to help. In regards to finding an accommodation, there are many options available to you. I would recommend making reservations to ensure that you have a place to stay once you arrive. 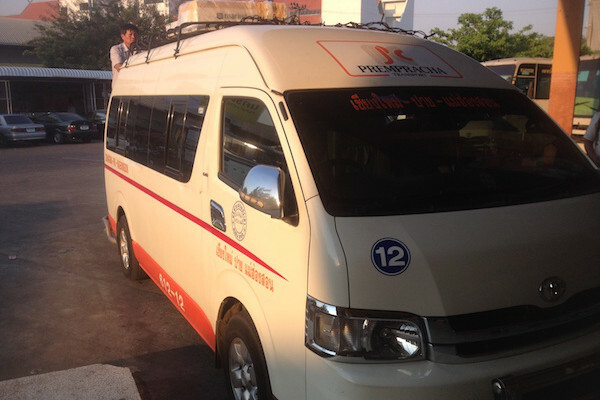 Alternatively, you can easily find an accommodation after you arrive. It can be very tiring hauling your luggage around to find a place that you like but shopping around can be a good way to compare prices and features. I was able to find a hostel called, “The Rock.” They had dorm style bunk beds for 300 BHT or $10 US per night. The dorm room was not great but it was the cheapest place that I could find. The Rock also has private rooms for 400 BHT or $13 US per night. Ko Phi Phi also features other hostels to choose from if you are a budget traveler and expensive hotels if you have a higher budget. After finding an accommodation, I recommend walking around the island to get familiar with different restaurants, vendors, and beaches. In regards to eating out, there are many food options to choose from. 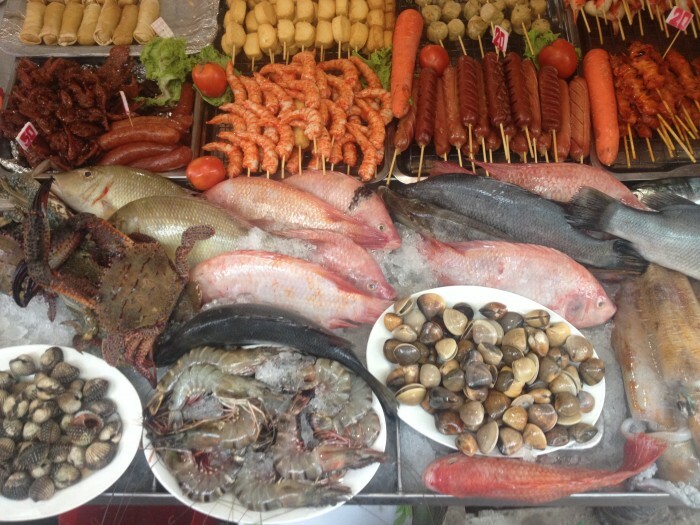 There are a variety of restaurants and street vendors to choose from. Another food anomaly that is unique to Ko Phi Phi in relationship to the other areas of Thailand that I have visited is that there are many pizza street vendors. You can buy a big slice of pizza for 80 BHT or $2.33 US. 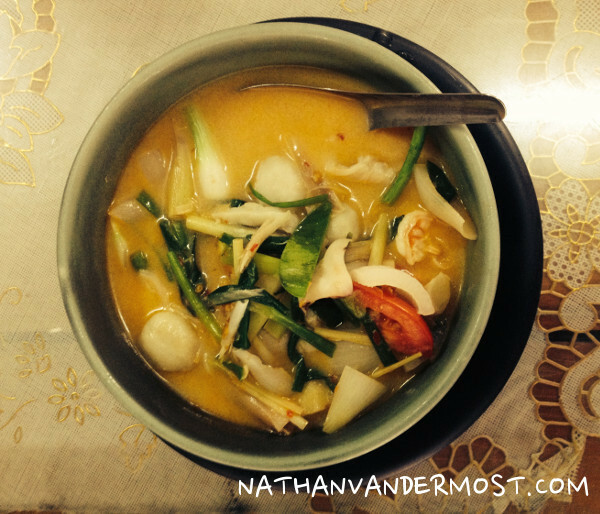 In general, western food is going to be more expensive than traditional Thai food. 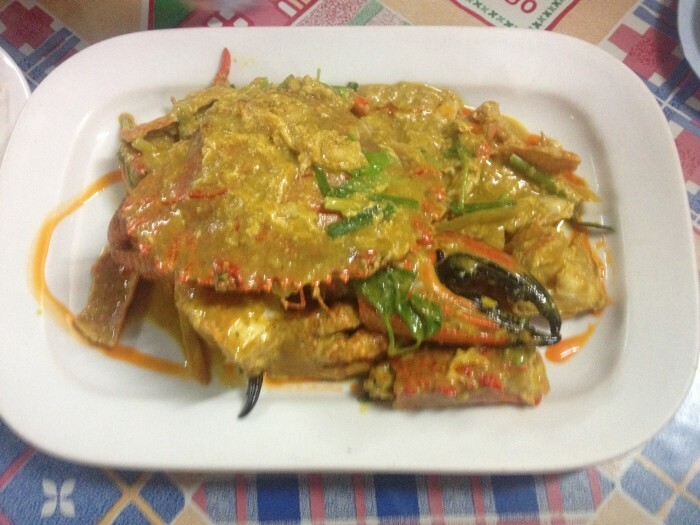 One evening, I indulged in some local seafood that was caught the very same day. Many restaurants feature the days catch outside their restaurant on ice. 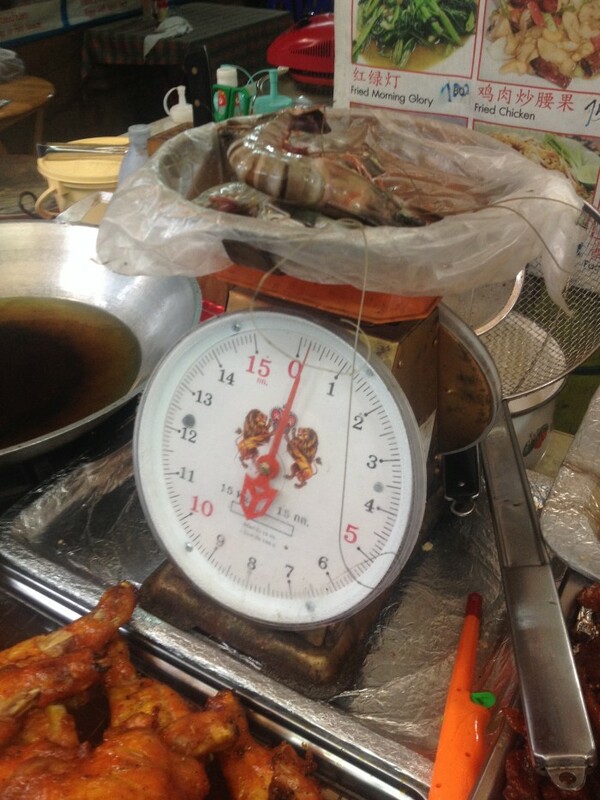 The local seafood includes, shrimp, crab, prawns, and a variety of fish. Although, you can get other meals for much cheaper, you pay a fraction of the price compared to the US. 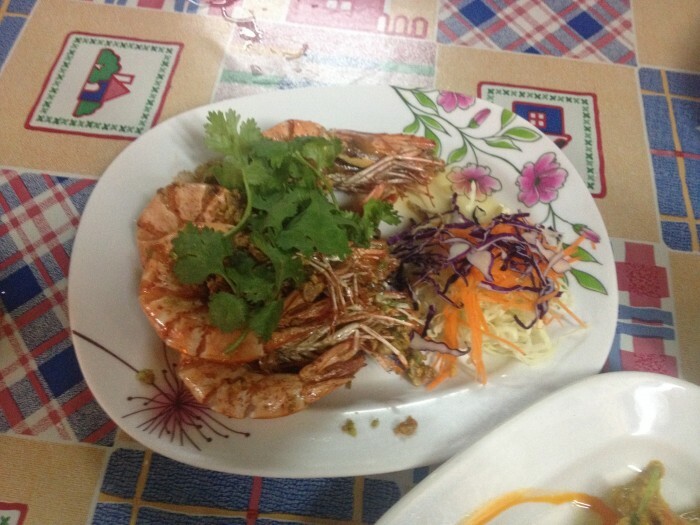 I had some prawns and a big crab that the locals said was really good. I was very satisfied. In regards to activities that you can do in the area, there are many. They include, swimming, tanning, beach lounging, renting a kayak, or booking a boat to visit the vast island system. Another popular destination via long tail boat is Maya Bay in which the movie, “The Beach” was filmed. I rented a kayak and went over to “Monkey Beach” which is a short kayak and has many monkeys on the beach. This is a popular destination for many travelers and travel groups. Additionally, there is really good snorkeling next to the beach. Renting a kayak allows you the freedom to go where you want and stay as long as you want (willing to pay for). The kayak rental is 300 BHT for 4 hours or $10US. There are several kayak rental options so be sure to ask around and see if you can negotiate.